Keeping a daily diary is an oft-touted habit, the benefits of which are promoted as seemingly boundless. Although much of it can easily be dismissed as hyperbole or click-bait, my personal experience in the matter has transformed me from a cautious skeptic into an enthusiastic convert. Here is what I’ve learned after keeping a daily diary for a thousand days (and counting). Not being able to keep oneself accountable is arguably the major source of wasted dreams and failed ambitions. It’s what keeps many of us from achieving the goals we set out for ourselves. One of the culprits is the lazy part of our brain (what Tim Urban’s calls the instant gratification monkey), which is constantly trying to jeopardise our plans by pursuing instant gratification. Unfortunately, many of the things the long-term planners in us want are things which require tedious work in the now, and only provide their rewards in the vague then. The only way to achieve those things is to put in the necessary effort. But with a mischievous monkey sitting in our brains, it’s easy to just give up, procrastinate, just this one time, just for today. With no deadlines, no accountability, there really aren't any negative consequences for skimping out on the hard parts. It’s only looking back that one may regret not achieving the things they had set out to do, and by then it may be too late. That’s where the diary comes in. It's certainly not perfect, and it certainly won’t defeat the "procrastination monkey" on its own, but it’s a start. The reason it helps is that by sitting down and writing about your day, you are helping keep yourself accountable. You are effectively forcing yourself to stop and think for a moment, to put things into perspective, evaluate them in retrospect. If you’ve been using your time in ways you had not planned to, keeping a diary helps you realise you've been cheating yourself. To put it simply, without a diary, pursuing instant gratification may not lead to anything bad — life just goes on and your temporary qualms get brushed aside. But with a diary you get to disappoint yourself again and again, every day. This pleasant exercise forces you to face the truth and hopefully gives you the drive to look for solutions. 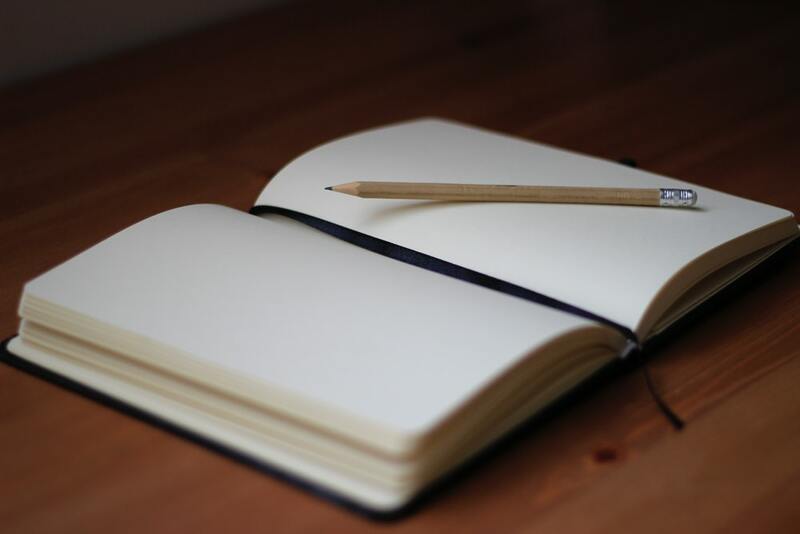 Keeping a diary every day is a habit one needs to develop, and like most (good) habits, getting it to become second-nature takes time and discipline. There’s a high chance that you will stop early on, when it’s hardest to keep going (like those gym memberships that just sit there from February onwards). But if you successfully reach the point where daily logs are simply part of your life, congratulations, you’ve unlocked a very powerful tool for self-improvement. The reason it’s such a powerful tool is simple. It’s easy to use an established daily diary routine to boost other would-be habits. For instance, if you wanted to work on your novel daily (say, by writing a thousand words), you could simply add a “novel word counter” entry to your diary where you record how many words you managed to put down every day. By doing so, you are using your existing, established routine to force yourself to think about your other goals every day. It’s easier to build a habit on top of an existing habit than it is to build a habit from scratch. What you write in your diary will depend on what you plan to use it for. But whatever you do write, it’s likely to involve crystallising some of the thoughts running around your mind into concrete written sentences. The simple step of forcing yourself to put words onto your thoughts helps you understand them better. This is the well known power of introspection. Behavioural neuroscience has established we are excellent "confabulators", making up stories to justify our actions and thoughts. We are also essentially blind to the world around us, experiencing only a small part of it, and making up the rest. In other words, we paint a picture of the world tainted by our specific biases and beliefs. Considering these limitations, it’s easy to see how a decision we took a while back might suddenly seem like a strange move under a new light (or simply in a different state of mind). The power granted by a diary to read through your own thought processes provides invaluable insight into your own beliefs, biases and thought patterns. Of course, a diary is no magic wand. It may help shed some light on your mind’s shortcomings. Overcoming them, however, requires intellectual honesty and a healthy dose of self-criticism, assuming it can be done at all. The existence of (and fight against) our inner biases is something Bryan Johnson explores in great detail in his blog post, which is worth a read. Finally, a more tangible and practical benefit of keeping a daily diary is the fact that anything you write down will be searchable (if your diary is in digital form) and available for future reference. Depending on the level of detail that goes into your daily scribbles, you diary could help you remember anything from important events to mundane details. Remembering when you took that holiday to the sea may only be good for proving your spouse wrong (disclaimer: I do not recommend ever proving your spouse wrong), but knowing what your boss told you about that project which seemed irrelevant at the time but is now crucial to your career could be a life-saver. We established that our brains are full of biases and don’t really see the world the way it is. The same hold true for our memories. They are a mere shadow of past events, deformed by time, filtered by our perception and emotions. Having a reliable account of important events is an objectively useful aspect of keeping a diary, and comes in handy more often than one might assume. Keeping a daily diary may not be the most ambitious goal you decide to pursue, but it might just end up impacting your life in more ways than you anticipated. It’s a low investment high return kind of deal. So get writing.